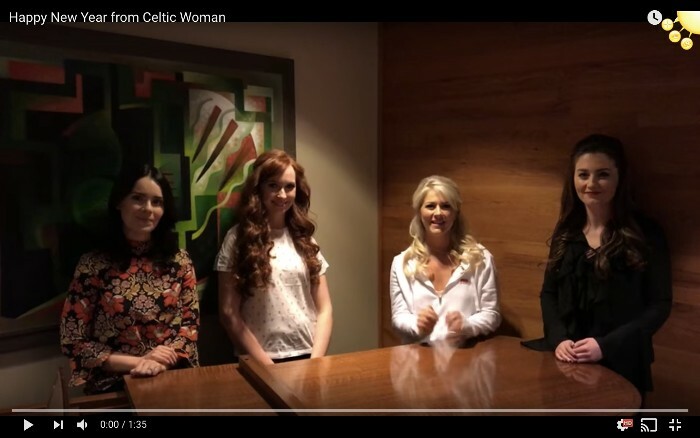 Celtic Woman send a special message for 2017 to all their fans. As Celtic Woman welcome in a new year we would like to wish you all a happy and prosperous 2017 and thank you for your continued support. We are so grateful for all the wonderful opportunities we experienced last year, including two #1 Albums and a Grammy nomination for the album "Destiny". With such an exciting year ahead we look forward to seeing you on our upcoming "Voices of Angels" world tour which commences in Lakeland Florida at the beginning of March.